Internal Syrian opposition Hmeymim group is ready to go to the Kazakh capital of Astana and Switzerland's Geneva to resume peace talks, and remains open for dialogue, official representative of the group Mais Krydee told Sputnik. MOSCOW (Sputnik) — On Saturday, the Russian and Turkish presidents discussed in a phone call the possibility of a meeting between the Syrian conflicting parties in Kazakhstan’s capital. UN Special Envoy for Syria Staffan de Mistura has said the Astana talks will be useful to the UN. He also intends to convene negotiations between the Syrian government and opposition in Geneva on February 8. "The internal opposition cares about the continuation of the dialogue and supports it. We are ready to go to Astana and Geneva. Staffan de Mistura has already started to prepare for a new circle of dialogue in Geneva, it should be in the beginning of February," Krydee said. 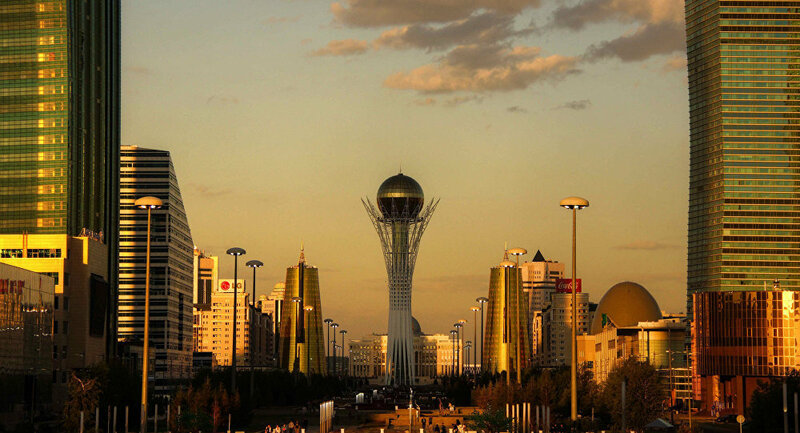 The date of the meeting in Astana has not been discussed yet, as it will depend on the positions of Damascus and the Syrian opposition whether the negotiations will take place or not, Kazakhstan Foreign Minister Erlan Idrissov said. "We believe in dialogue and are supporting it, and we need to have a new democratic Syria with a new vision and constitution, we need to finish this war," Krydee added. On Wednesday, de Mistura mentioned during a briefing he considered the Astana talks a stage and a contribution which would complement the work of the United Nations on Syrian reconciliation. Kazakh President Nursultan Nazarbayev has expressed support for the initiative and expressed readiness to provide a platform for such talks.